Later this week, Tottenham Hotspur play Manchester City twice inside the space of four days in what promises to be a searingly intense two-part Etihad mini-series. The fallout from each fixture is potentially huge, with season-defining permutations layered thick for each of the game’s possible outcomes. On Wednesday, the clubs contest the second leg of a Champions League Quarter Final that teeters on a knife-edge, and just 62 hours later Manchester City and Tottenham Hotspur resume battle in Saturday’s Premier League lunchtime kick-off. Tottenham must contest their crucial double-header without their captain and line-leading poster boy Harry Kane, whose ankle injury looks like keeping him out for the rest of the current season. 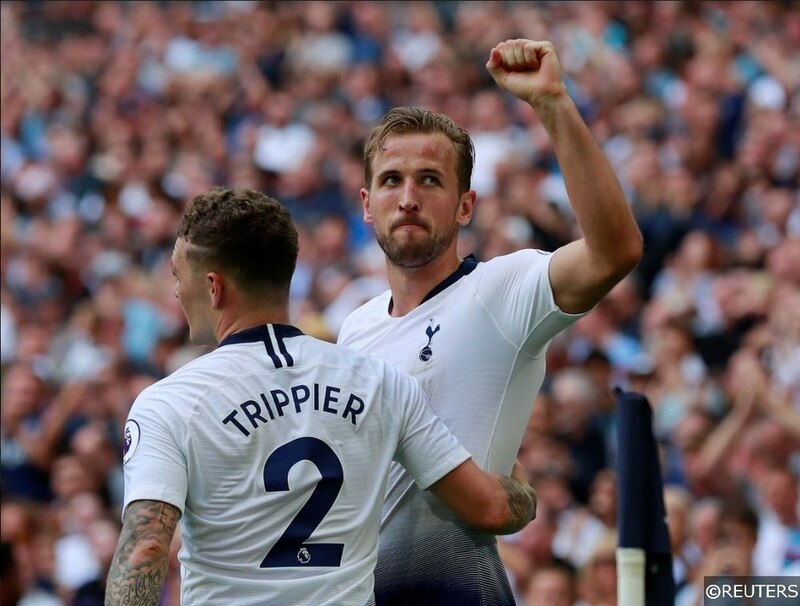 Read our detailed Manchester City vs Tottenham Hotspur match preview with predictions and betting tips here! Harry Kane suffered significant ankle ligament damage with an over-enthusiastic challenge on Manchester City’s Fabian Delph when Spurs met the Citizens in London last week. Subsequently, the 25-year old centre-forward was forced to watch on when Tottenham played Huddersfield on Saturday, but if his teammates were missing him, they certainly didn’t show it. Spurs battered Town 4-0 in North London, recording their biggest winning margin since thumping 7 past Tranmere Rovers in the FA Cup in January – a game, incidentally, that Kane also sat out. Their game against Huddersfield was the 6th time Spurs have played a Premier League game without Kane this season, and Tottenham have won them all. Admittedly, the sample size is small, though Spurs 100% win rate without Kane in the Premier League, drops to just 60.7% with the striker has featured. 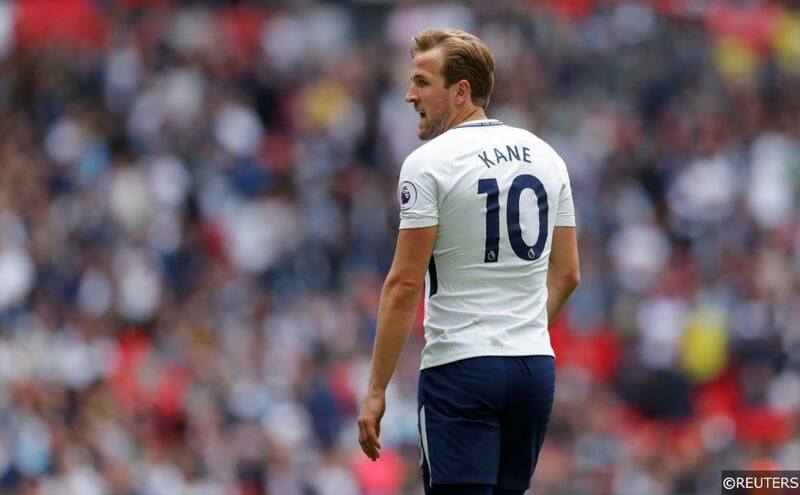 Kane’s current injury, is a reoccurrence of the ailment that kept him on the sidelines for a spell between mid-January and late February earlier this season. Kane had hobbled off at full-time after Spurs’ 0-1 defeat to Manchester United at Wembley on January 13th. However, as we touched on above, Tottenham coped brilliantly without the focal point of their attack, winning 4 Premier League games out of 4 sans Kane. Tottenham’s players, usually deployed as Kane’s supporting cast, seemed to revel with their new goal-scoring responsibilities, and the 8 goals Spurs scored during that 4-game period were shared among 6 different contributors. Kane was restored to the Tottenham starting XI for the team’s fixture at Burnley on February 23rd, but even though the hitman made a goal-scoring return, Spurs eventually lost 2-1 to the Clarets. That poor result would kick off a remarkable downward trend for Spurs, who lost 4 and drew 1 of the first 5 league matches they played after Kane’s reintroduction to the side. Interestingly, Kane netted 3 of the 4 goals Spurs registered during their disappointing sequence, while the rest of his teammates seemed to wilt and withdraw back into their shells, scoring just once between them. Other Spurs’ figures and statistics have seen a positive shift in Kane’s absence this season too. The sandy-haired poacher is out on his own as the club’s top scorer in the Premier League this season, having smashed home 17 goals in 28 appearances for Spurs, yet Tottenham collectively tend to score fewer goals when Kane starts. When Kane has featured, Spurs have averaged just 1.9 goals per Premier League fixture, though that figure jumps to a much healthier looking 2.4 in his absence. Bizarrely, Spurs numbers at the other end seem to improve without Kane too. Tottenham conceded an average of 1.1 goals per Premier League game when Kane was on the pitch, and just 0.6 per 90 minutes when he wasn’t. Tottenham appear to be a slightly more threatening attacking force in general without Kane in the Premier League too – Spurs averaged 15.5 attempts on goal per league contest without their number 9, and that figure drop slightly to 14 shots on average with Kane involved. Kane’s goals have won Tottenham 7 Premier League points this season – more than any of his Spurs’ teammates, yet if you take away the striker’s penalties in 2018/19 (4), Kane’s open play goal haul would be just 1 better than the much-maligned Romelu Lukaku and the frustratingly inconsistent Richarlison, who have scored 12 goals for Man Utd and Everton in the league this season respectively. 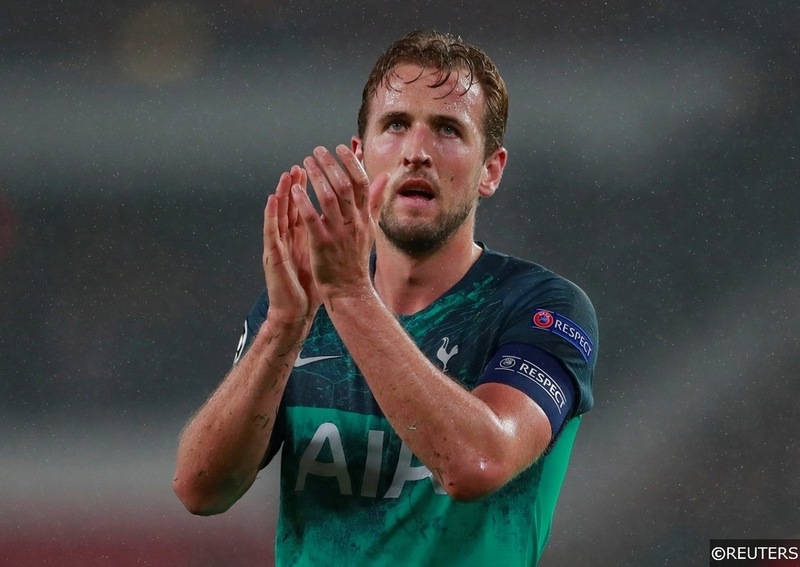 With reparative surgery looking increasingly likely, Kane will almost certainly miss the remainder of the 2018/19 for Spurs, though Tottenham supporters should temper any panic they might be feeling. While Kane is undoubtedly one of football’s deadliest finishers and potential match-winners, his imposing, almost mythical presence at centre-forward routinely makes him a one-man focal point and goal-scoring conduit for Tottenham. The dangers of “one-man teamism” have been well documented, and often, the removal of a star player can have a positive ripple effect on a squad, allowing others to emerge from the shadows to thrive. Tottenham’s players have already shown a willingness and ability to share the goal-getting burden and responsibility between them in the absence of their most prolific teammate – there’s no reason why that cant continue. Read the rest of our Champions League match previews for more predictions, betting tips and special offers here! Categories: Blog, Champions League, and Football. Tags: Harry Kane, Harry Kane injury, Manchester City, and Tottenham Hotspur. Team Tag: manchester city and tottenham hotspur. League: England Premier League and UEFA Champions League. Sports: Football.